Buyer beware: sustainable seafood programs can’t guarantee ocean-friendly choices. When did lunch become so complicated? The server at the sushi restaurant hands me the menu, and I’m hit with a wave of anxiety as I count four pages, printed front and back. I was hoping the menu would be as minimalist as the modern decor. I have only 45 minutes, and I’d like to enjoy a conversation with my husband, something we don’t get to do over meals at home with the kids. But as I scan the specials, I spot a familiar fish face. It’s the Vancouver Aquarium’s Ocean Wise logo, a sign of a sustainable seafood choice. Decision-making made easy! But it seems almost too easy. “Are these all Ocean Wise?” I ask our server, pointing to the 11 nigiri items with the stamp next to them. She assures me they are, and I ask for more time to peruse the menu. When she turns away, I pull out my phone and select the Ocean Wise app, which allows users to find restaurants across Canada that are part of the program and check on the sustainability status of seafood. I search the partner directory for the Next Modern Japanese Cuisine in Victoria, British Columbia, but it doesn’t appear, suggesting the restaurant is not an Ocean Wise member. Before I have a chance to check some of the seafood, the server returns. We place our order, and I cross-check our server’s answers with the seafood guide on the app. Japanese scallops can be Ocean Wise, but only if they’re farmed. 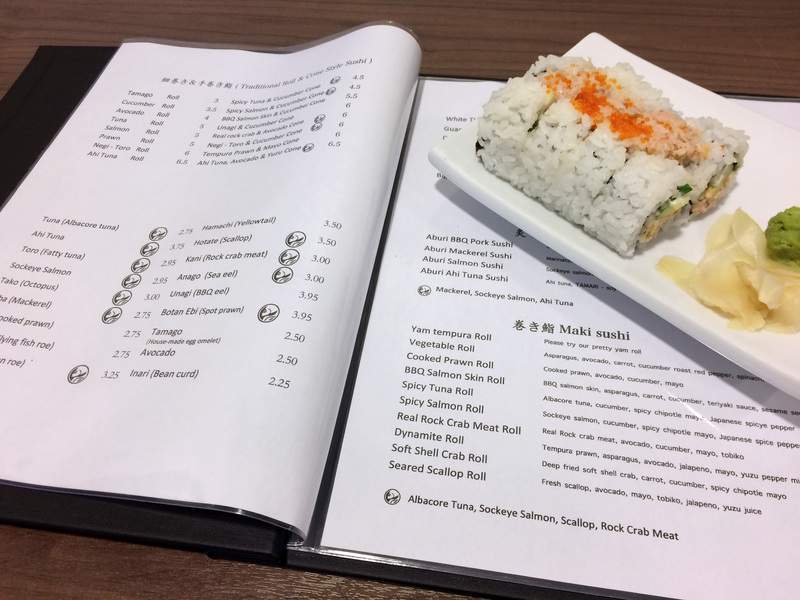 I ordered the rock crab maki with tobiko, or flying fish roe, but when I look it up, I see that tobiko is under review. The roll is therefore not Ocean Wise as the menu suggests. I’ve long been a fan of the Ocean Wise program, preferring to have my seafood without a side of guilt. Like more than 90 percent of Canadians, I think it’s important that seafood comes from sustainably managed stocks, so I buy less fish so I can afford to pay a premium for seafood that guarantees I’m not complicit in the destruction of species and ecosystems—and you will pay more for some sustainable seafood. But when a study revealed that restaurants are passing themselves off as Ocean Wise members when they’re not, it became clear to me that eating sustainably is not as simple as looking for a logo. After completing her research, Dolmage, who has since taken a job with aquaculture giant Marine Harvest, continued to find more restaurants misusing the logo. She just happened upon them when she was out for a meal, as I did when I went for sushi at the Next Modern Japanese Cuisine. And when I headed to my local pub, Fifth Street Wood Fired Rotisserie, for pizza Monday. And when I met some eco-minded friends at farm-to-table empire 10 Acres, which has three restaurants. I wonder how many more Ocean Wise scammers are out there, how they’re getting away with it, and what it means for the future of sustainable seafood. The aquarium launched Ocean Wise in 2005 to help consumers make environmentally responsible choices for the ocean. 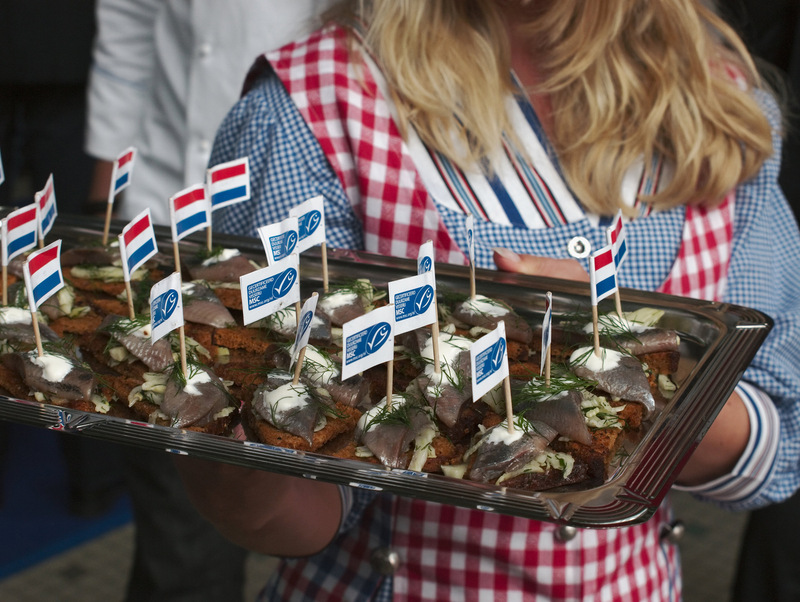 It has since become “the Kleenex of the sustainable seafood world,” DeJong quips, with more than 700 restaurant, retail, and supplier partners, many of which are chains with multiple locations across the country. When a business is interested in becoming a member, the first step is having the seafood it sells assessed. Having just one Ocean Wise item qualifies a prospective partner for the program, even if it’s sold alongside several other unsustainable items. After paying the annual membership fee—starting at CAN $275 for restaurants and going all the way up to $5,200 for suppliers—a business can use the logo next to menu items or on packaging. The Ocean Wise program is a powerful marketing tool for its partners and the aquarium. DeJong makes sure of that with what he calls the “double century”—putting on 100 Ocean Wise events that engage at least 100 partners every year. The organization has declared November Ocean Wise month and is advocating for a national sustainable seafood day. Citing data from an Insights West poll conducted last year, DeJong proudly points out that a third of Canadians have heard of Ocean Wise. That same poll found that 18 percent of Canadians have purchased Ocean Wise seafood, a number that is likely to climb as the program puts more emphasis on Atlantic Canada and Asian restaurants and retailers. The organization is also considering expanding into the certification of other consumer goods, such as clothing and beauty products. To punctuate its commitment to conservation, Ocean Wise recently rebranded and became the name of an overarching conservation organization based at the aquarium. The announcement was made on World Oceans Day, just a few weeks after the park board vote on captive cetaceans. A stylized fish and the words “a sustainable choice” replaced the familiar fish head logo. The aquarium, its research and education arms, the sustainable seafood program, and other conservation initiatives now fall under the Ocean Wise umbrella—a testament to the visibility and power of the brand. But with great growth comes great responsibility. As we walk alongside the Vancouver Aquarium’s outdoor pools, two sea lions poke their heads out of the water, and I ask DeJong how Ocean Wise protects its brand and ensures restaurants are not misusing the logo and misleading customers. “There are tens of thousands of restaurants in Canada, and I won’t say we’ve walked in the door of every one of them to check how they’re using or not using the Ocean Wise logo,” he says. “But we have great support from the community, and if we do have people who are using it improperly, we hear about it. We are a group of food-loving restaurant aficionados. Whenever our team here at the aquarium are out, they’re actively looking.” DeJong acknowledges that logo misuse is a problem and divulges that they caught a restaurant using the Ocean Wise logo on a dish that didn’t even contain seafood. But having a staff of foodies and relying on secondhand reports is a shaky enforcement strategy. 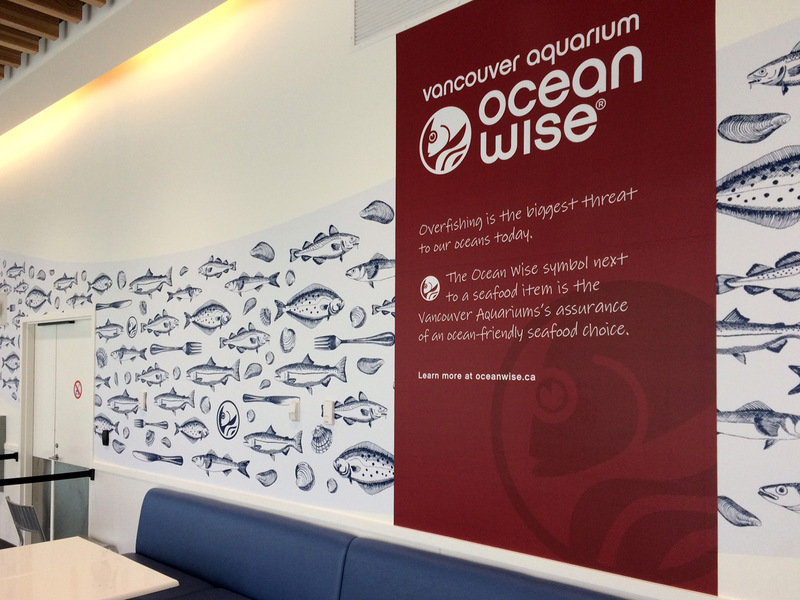 Ocean Wise takes no proactive measures to ensure nonmember restaurants or retailers aren’t misusing the logo, so the aquarium’s guarantee that the symbol indicates an ocean-friendly choice rings hollow. In fact, a quick Google image search for the old logo places it on the websites of several nonmembers, including a street-food chain in Italy that specializes in calamari wraps. When a report filters in that a restaurant is misappropriating the Ocean Wise logo, the organization contacts the owners and tries to recruit them as members. According to Ocean Wise, between 80 and 90 percent of restaurants that are busted join the program. Yet they have no data on how many members they’ve recruited in this manner, nor how many reports of misuse have piled up over the years. 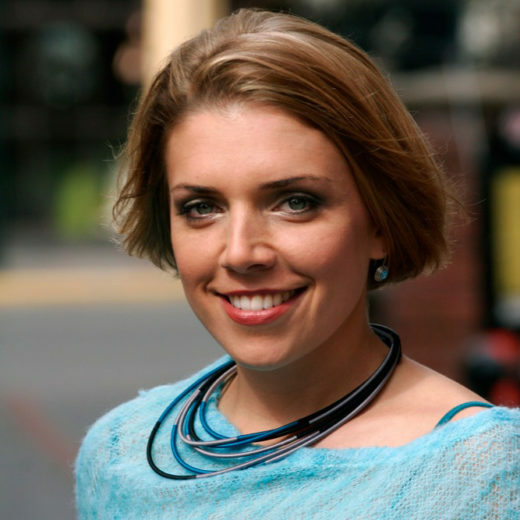 The information is buried in emails, phone logs, and notes, explains Ocean Wise communications manager Alexis Brown, and they don’t have the capacity to comb through their files. “It’s not a number that we would use to measure if we’re meeting the program’s goals,” she writes in an email. The Marine Stewardship Council and the Aquaculture Stewardship Council are the only seafood ecolabels that are members of the ISEAL Alliance, which acts like a label on labels of sorts, awarding membership to organizations that meet its codes of good practice. This video highlights some of the questions consumers may want to ask when evaluating the credibility of an ecolabel. Not only is misuse of the Ocean Wise logo greenwashing, it’s also against the law. Environmental claims are subject to Canada’s Competition Act, which contains criminal and civil provisions that prohibit making false or misleading claims to promote a product. If you spot someone misusing an ecolabel, you can file a complaint with the Competition Bureau. The Competition Tribunal or the court may order the business to publish a corrective notice or pay a penalty. The bureau does not, however, regulate organizations that award ecolabels. Ocean Wise has no legal obligation to monitor its program, but it does have a moral one. Our walking meeting ends in DeJong’s office, and we sit at a round table with a bowl of giant Corn Nuts in the middle. I tell him about some of the Ocean Wise cheats I’ve discovered, and hand him a photo of the Next Modern Japanese Cuisine’s menu and a printout of Fifth Street Wood Fired Rotisserie’s home page, which prominently reads, “Fifth St. fully supports the Vancouver Aquarium Ocean Wise program.” DeJong studies the documents and shakes his head. “I look forward to visiting them,” he says. The seafood section at Whole Foods Market is reminiscent of the last day of school when every kid gets a certificate of some kind—most caring, biggest helper, good citizen—rendering the accolades somewhat meaningless. According to the product cards propped up in front of the rows of pink seafood at the counter, the crab cakes boast “full traceability from fishery or farm to store,” the shrimp are “Responsibly Farmed, 3rd Party Verified,” and the cooked shrimp meat is certified sustainable by the Marine Stewardship Council (MSC). In the frozen fish section, nearly every product carries some kind of stamp of approval: Ocean Wise, Aqua Star’s Seafood Forever, Non-GMO, and Whole Foods Market’s very own Responsibly Farmed. All of the labels have different definitions of sustainability, and few address social issues such as child labor and working conditions. Conscientious consumers would be well advised to choose the issues that are most important to them and look for the label that best addresses them—it’s like shopping for anything. But unless you’re an industry insider, it’s hard to know which programs are reputable and who to trust. Yet 65 percent of Canadians look to retailers and producers for information about the origin and sustainability of seafood. Atkinson says her research suggests that consumers value ecolabels—they assure us of qualities, such as organic and GMO free, that we can’t easily verify ourselves, and give us a warm fuzzy feeling of doing the right thing for the environment. Companies like ecolabels, too, and have been capitalizing on consumer demand for sustainable products and services by stamping them on everything from tampons to hotels. The global retail value of eco-certified seafood alone was estimated at US $11.5-billion in 2015—that’s about the same sum Burger King forked over to buy Tim Hortons. 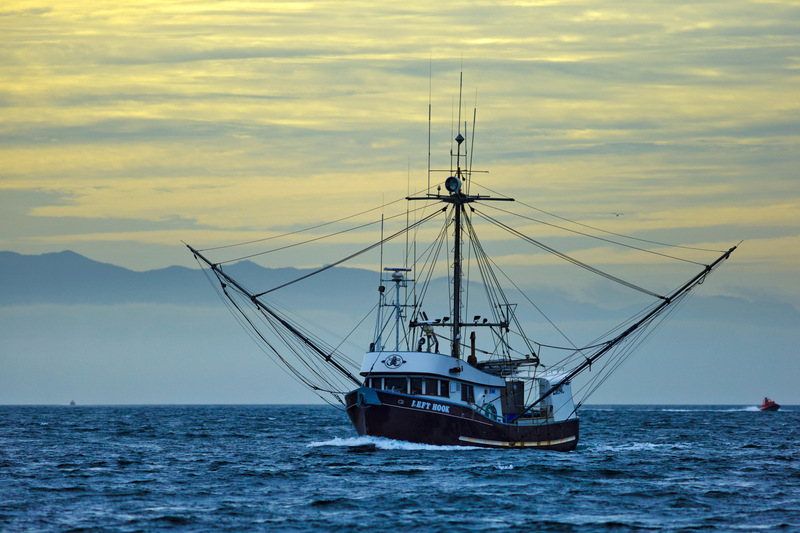 The two big players in sustainable seafood ecolabeling in North America are the MSC and the Monterey Bay Aquarium’s Seafood Watch program, and they operate quite differently. The MSC is an opt-in program, and fisheries seeking certification pay to go through the process. The international organization has strict standards that ensure the seafood it certifies is traceable from catch to plate. Meanwhile, Seafood Watch assesses fisheries it believes consumers should know about, including the worst environmental offenders, and issues recommendations, but does not tackle traceability. Ocean Wise is the only existing made-in-Canada sustainable seafood ecolabel. It uses Seafood Watch’s assessments as the basis of its program and also does its own assessments of small-scale Canadian fisheries. Until recently, it had a Canadian competitor in the retail market: SeaChoice, which also used Seafood Watch’s science. For a decade, SeaChoice worked with retailers to establish sustainable seafood purchasing policies and verify the authenticity of every species that landed in its partners’ coolers. In 2015, SeaChoice dumped Overwaitea Food Group because it couldn’t verify where its seafood was caught. Less than a year later, the Western Canada chain became an Ocean Wise partner. As of last December, all of SeaChoice’s other retail partners—including Safeway, Federated Co-operatives Limited, and Buy-Low Foods—had either met or nearly met their sustainable seafood objectives. The organization has since transitioned to a seafood watchdog to hold the supply chain and ecolabels more accountable. As a result, many of the retailers have teamed up with Ocean Wise. Seafood fraud is a high-stakes global challenge, and the supply chain is like the Trump family’s relationship with Russia—long, complex, and lacking transparency. A 2016 report by international conservation organization Oceana found that 20 percent of more than 25,000 samples of seafood tested worldwide was mislabeled. According to the report, up to 41 percent of seafood samples tested in Canada were mislabeled. The MSC does biannual DNA tests on seafood that carries its label and consistently finds that less than one percent is mislabeled. The MSC also requires restaurant partners to obtain chain of custody certification through an independent certifier who conducts annual audits. The restaurant must operate a traceability system and ensure there are no substitutions or mixing of certified and non-certified products. There are 23 MSC restaurant partners in Canada, including several universities, which can be verified through the organization’s online directory. Ocean Wise has no traceability requirements, so there’s no guarantee that the “sustainable” halibut you order isn’t South African hake, a species that’s not recommended. So, should consumers try to catch the MSC fish and throw the Ocean Wise one off the line? Not so fast. Last month, SeaChoice released a searing report, “What’s Behind the Label,” that tarnishes the MSC’s reputation as the gold standard in ecolabeling and exposes serious flaws in how the world’s leading certifier of farmed fish, the Aquaculture Stewardship Council (ASC), operates. 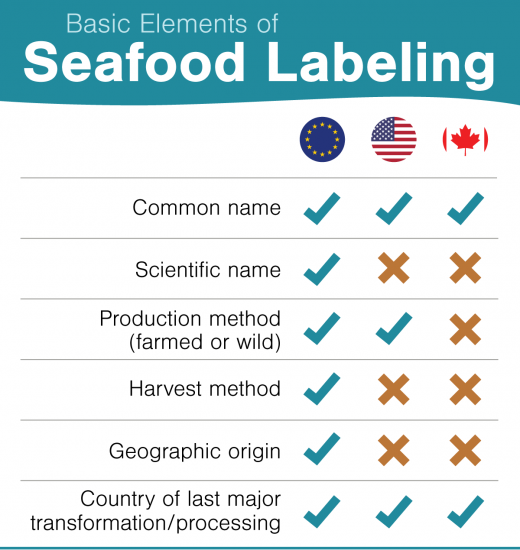 SeaChoice found that fisheries and farms certified by these labels are frequently not meeting all of the requirements, but flaunt the ecolabel anyway. SeaChoice found significant timeline extensions and flexible interpretations of the MSC standards. To achieve MSC certification, fisheries are assessed on 28 sustainability indicators. If a fishery scores below a certain level on any indicator, it must improve its performance within a specified time frame, usually five years, to retain certification. The SeaChoice report found that all certified fisheries in Canada received conditions after their original assessments—an average of six—and some have taken nine years after certification to meet all of the MSC requirements, suggesting they were granted certification prematurely. 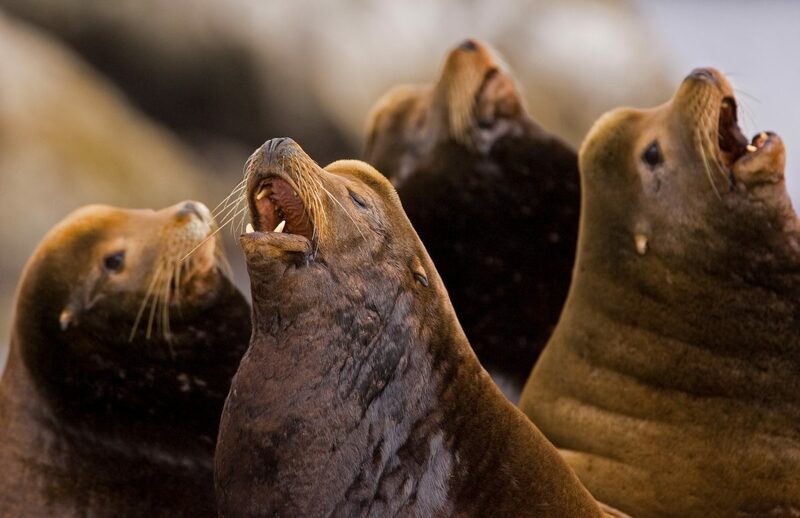 All the while, seafood was entering the marketplace with the MSC’s seal of approval, and consumers were none the wiser. In a sharply worded statement, the MSC says SeaChoice misinterpreted its data; SeaChoice responded, defending its analysis. 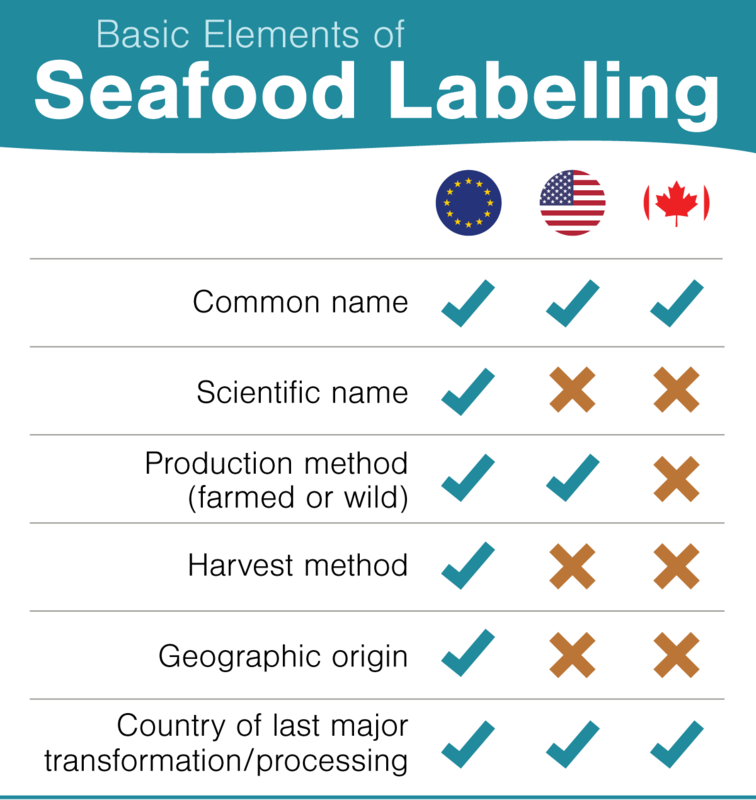 In Canada, consumers are more reliant on ecolabels for information about their seafood than they are in the United States or the European Union because regulations on mandatory product labels here are so weak. In Canada, labels are not required to include a species’ scientific name, where it was caught, how it was harvested, nor whether it was farmed or wild. This limits the consumer’s ability to use tools such as the Ocean Wise app or Seafood Watch’s consumer guides to verify the sustainability status of seafood. SeaChoice and Oceana are both pushing for better labeling and traceability requirements. Red Fish Blue Fish is a sustainable seafood allegory. The popular eatery is perched on a dock in Victoria’s Inner Harbour and sells 100 percent Ocean Wise seafood from a recycled shipping container with a green roof that belies its past as home to a hulking, gas-guzzling Hummer. Locals and tourists alike brave the long summer lineup to enjoy fast seafood surrounded by an authentic coastal soundtrack—screeching gulls, baritone ship horns, and the drone of floatplanes. Owners Libby Gibson and Simon Sobolewski have been dedicated Ocean Wise members since they opened the eatery in 2007. Today, they are putting up new menus with the redesigned Ocean Wise logo. “Sustainability and the environment have always been at the forefront of our minds right from the beginning,” Gibson says as we sit on stools overlooking the harbor. Red Fish Blue Fish would serve sustainable seafood with or without Ocean Wise. Gibson and Sobolewski even go a step further, refusing to buy locally caught Ocean Wise halibut that travels to China to be processed and sent back. (Ocean Wise does not take greenhouse gases into consideration when certifying seafood.) “That’s a big waste in my mind,” says Gibson, adding that locally processed halibut costs significantly more. Still, Gibson feels the brand recognition and validation they get from using the Ocean Wise logo is valuable. But aside from some retweets when they use the hashtag #OceanWise and mass emails informing them of changes to seafood assessments, they don’t get much else out of the partnership. DeJong says Ocean Wise representatives meet with partners or have phone check-ins at least once a year, but Gibson has never been contacted, raising questions about how the organization monitors legitimate members, too. Three days after my visit to the Vancouver Aquarium, communications manager Alexis Brown sent me an email letting me know that the Next Modern Japanese Cuisine decided to remove the logo from its menu and Fifth Street Wood Fired Rotisserie joined the program. 10 Acres also became an Ocean Wise member, but the restaurant still displays the MSC logo on its website even though it’s not permitted to do so and is using it incorrectly. After mentioning this to the owner, I reported the misuse to the MSC through its online form, adding to its tally of 35 reports received globally in the past 12 months. The ASC also has a web page inviting people to report fraud, but Ocean Wise has no such system in place. Brown says most cases of logo misuse result from misunderstandings, as was the case with Fifth Street. In her email, she explained that one of the restaurant’s suppliers is a partner, and they thought this allowed them to use the logo. A manager at the restaurant said the logo has been in use since she started two years ago, and she didn’t realize it was a membership-based program. Another Ocean Wise representative and the manager both said all of the dishes that were labeled as Ocean Wise actually were, but when the poster-sized menu outside the restaurant was replaced, the logo next to the Pacific Ave. Seafood Spaghetti had been removed. But there are bigger things to worry about than a few unsustainable shrimp in a bowl of spaghetti. What difference are ecolabels actually making on the water? Moving a major national grocery-store chain away from an unsustainable source can certainly have an impact, but quantifying it is difficult. When evaluating the success of its program, Ocean Wise doesn’t even look at the environmental impact. Instead, the team tallies the number of new members, events, small-scale Canadian seafood assessments written, and media impressions (we’re not sure if this one will count). The MSC, on the other hand, helps drive change on the water when fisheries are striving for certification. In Canada, for example, haddock fisheries started using separator trawl nets that allow cod to escape, reducing by-catch. The SeaChoice report, however, found that once fisheries are MSC certified, they rarely change their practices in ways that reduce the environmental impacts on habitat, non-target species, and ecosystems function. 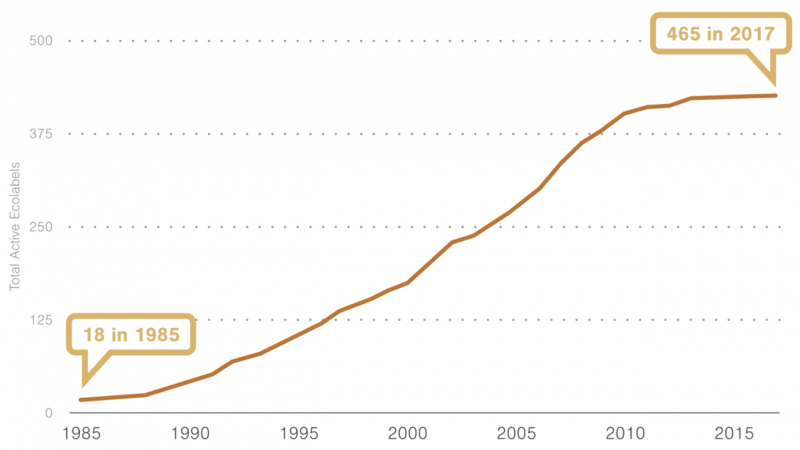 The MSC disputes this claim, saying from 2006 to 2016, MSC-certified fisheries in Canada made 167 such improvements. Over the months of investigating the real meaning behind ecolabels, I’ve lost faith in them. I appreciate how all those eye-catching fish stamps have created a huge amount of awareness about sustainable seafood, which we need now more than ever as climate change, pollution, and overfishing threaten our oceans and our bouillabaisse. Ecolabels have helped engage consumers in sustainable seafood by giving us the opportunity to vote with our wallets. The irony is that in doing so, they have branded and commodified sustainability, creating competition in the ecolabel market and driving down standards as programs seek to capture more market share. Ecolabels were supposed to make it easier to eat sustainably, but now consumers have to sort through a cornucopia of claims and figure out whether or not the information is accurate. For consumers, it’s a little harder to make that commitment without some guidance, but it’s not impossible. I’ve found a few ways to have my seafood and eat it too. I’ve gone fishing with friends when the pink salmon are running, forcing myself to bop the fish on the head and help gut them. I’ve gone paddleboarding with a crab trap in tow and dined on the resulting bounty on the beach. I’ve started frequenting a local fishmonger that operates its own fleet of vessels and ensures staff can tell shoppers where their seafood was caught, the name of the boat it came in on, and the best wine to pair it with. And when I’m uncertain about the authenticity or sustainability of seafood, I go vegetarian. It’s the only way to avoid moral indigestion. Cite this Article: Raina Delisle “The Ecolabel Fable,” Hakai Magazine, Nov 7, 2017, accessed April 26th, 2019, https://www.hakaimagazine.com/features/ecolabel-fable/.